An oasis for desert-dry skin. Buh-bye, dry. 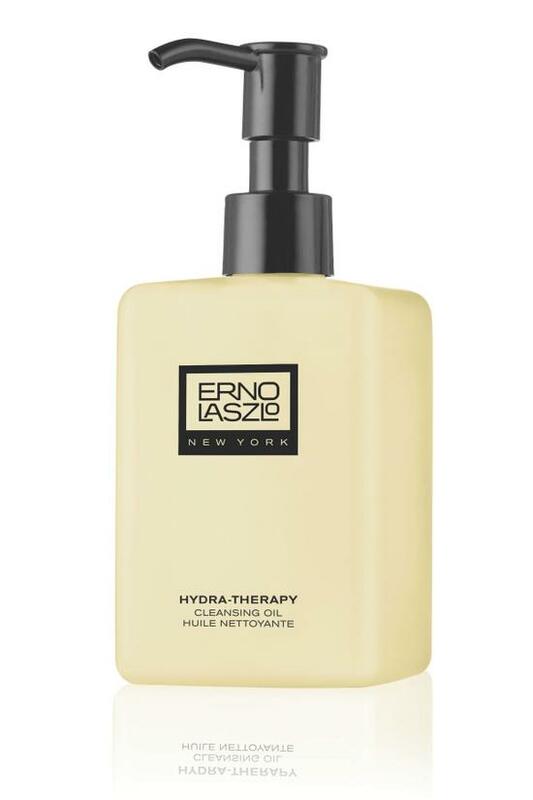 This silky, lightweight cleansing oil sweeps away all makeup, dirt and flakiness while restoring optimum hydration levels to dry, stressed complexions. Skin is soft, resilient and not stripped or tight. Gently massage a generous amount in small circular motions on dry skin before the Treatment Bar of your choice as part of your bespoke Double Cleansing Ritualor use to cleanse and moisturize skin on its own. Mix and match formulas to find the perfect pair for your skin concerns, or focus on synergistic formulas from the Hydration Collection to spotlight healthy, glowing skin. INGREDIENTS: HYDROGENATED POLYISOBUTENE, ETHYLHEXYL PALMITATE, SIMMONDSIA CHINENSIS (JOJOBA) SEED OIL, VITIS VINIFERA (GRAPE) SEED OIL, PERSEA GRATISSIMA (AVOCADO) OIL, PRUNUS ARMENIACA (APRICOT) KERNEL OIL, SESAMUM INDICUM (SESAME) SEED OIL, HELIANTHUS ANNUUS (SUNFLOWER) SEED OIL, DAUCUS CAROTA SATIVA (CARROT) ROOT EXTRACT, DAUCUS CAROTA SATIVA (CARROT) SEED OIL, ROSA CANINA EXTRACT, CAPRYLIC/CAPRIC TRIGLYCERIDE, TOCOPHEROL, ASCORBYL PALMITATE, TETRAHEXYLDECYL ASCORBATE, BETA-CAROTENE. The legacy of Erno Laszlo may be rooted in the groundbreaking skincare discoveries of Dr. Laszlo, but behind his life changing products it's always been about Her. From Dr. Laszlo's first breakthrough, finding a cure for a Princess' acne, to his work with the most famous faces in Hollywood, to our modern beauty rituals adored by fans all over the world, Erno Laszlo has always celebrated bold women, empowering us all to show our true glow.